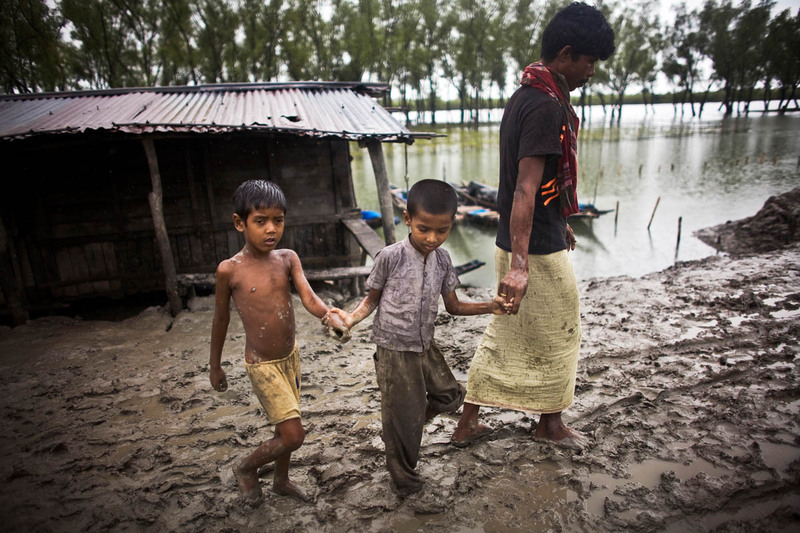 Hannan walks to the market with his children after a rainstorm in the Sunderbans. Both Hannan's father and father in law were attacked by tigers. His father survived. Him and his wife are too afraid to go near the jungle so they fish far away from the banks. They earn much less than they would if they were to work near the forest where there are much more fish, but believe the alternative is much worse.